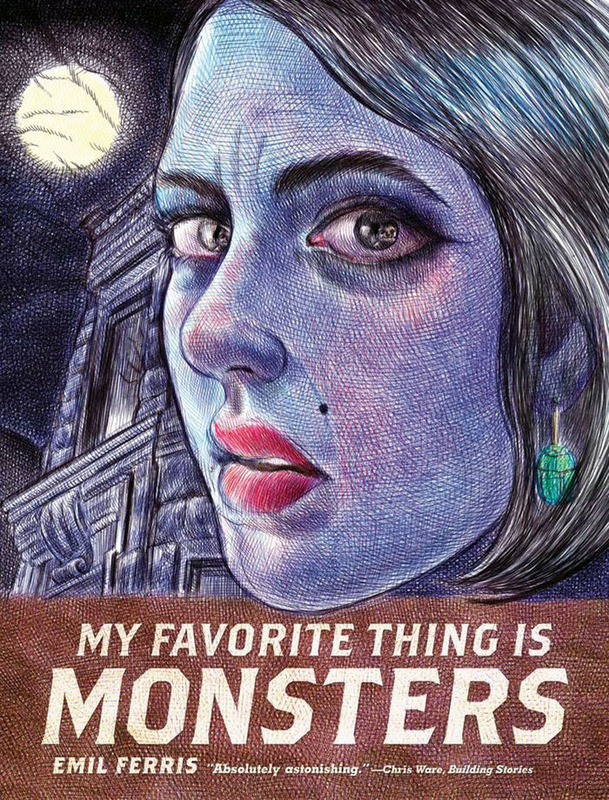 If you have not heard of this book yet, then let me introduce you to one of the new landmarks in graphic novels, “My Favorite Thing Is Monsters,” by Emil Ferris, published by Fantagraphics. Maybe you have heard of it. Or maybe, like me, you weren’t sure what to make of it at first. 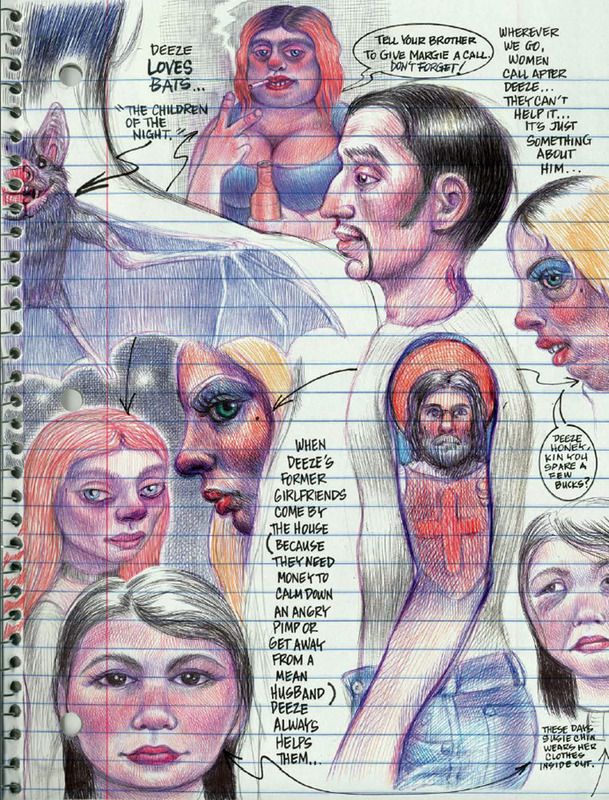 Certainly, one quick look through its pages, and you can tell this is something weird and wonderful. And, at 386 pages, this ain’t a book you’re gonna miss sitting there on the shelf. An enigma begging for resolution. As a cartoonist myself, the book is also a bit intimidating. 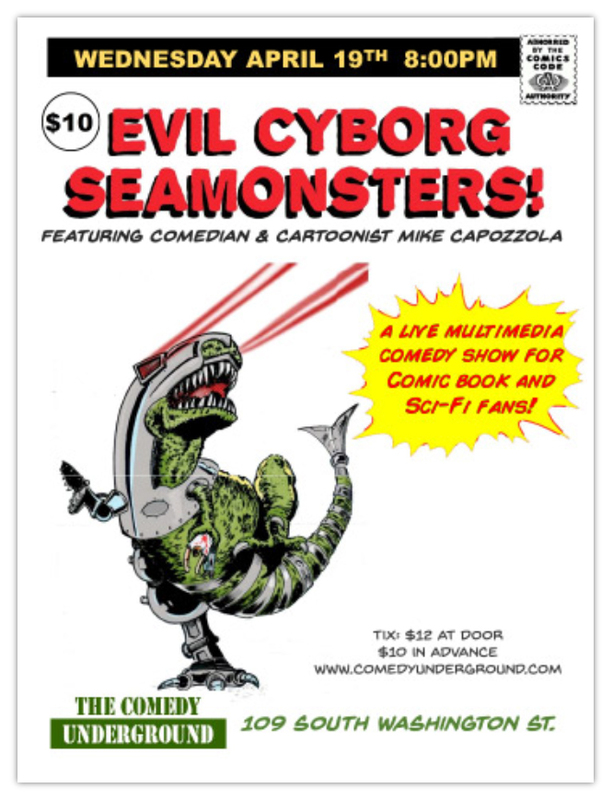 All this awesome stuff to process–that I didn’t write and draw! As a reviewer, this is the sort of book that everyone comes out of the woodwork to review. People who never read graphic novels now suddenly have an opinion to express on the next big thing. But, don’t get me wrong, it is exciting to see a book like this gain the spotlight. That said, a number of things make this book significant and worthy of a long life after the current buzz. A bigger look: two-page spread. The best way to enjoy this book is to find a cozy seat and explore the pages for a while. Then just settle into it. Ferris has an uncanny sense for narrative flow. 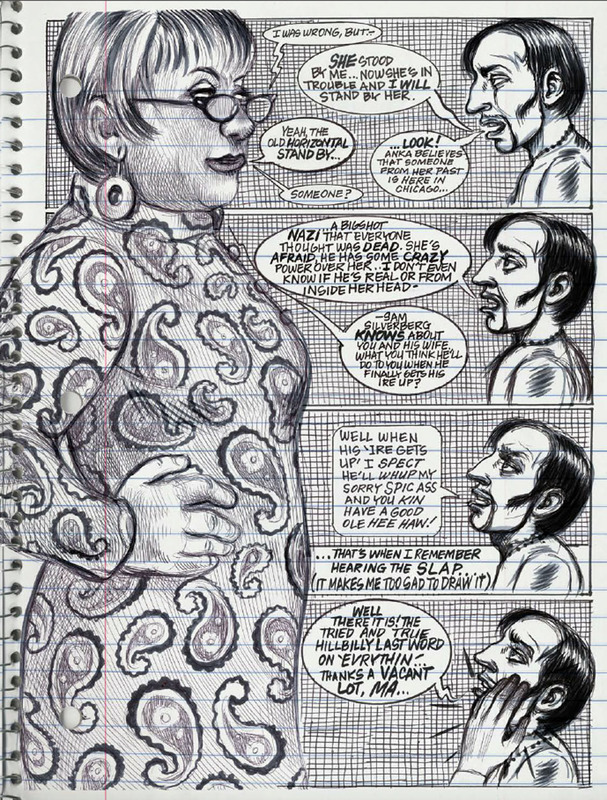 In a comic that she did about promoting the book, she included an observation by comics legend Art Spiegelman. He declared that Ferris had tapped into a new rhythm for comics. To be sure, Ferris has a distinctive approach. 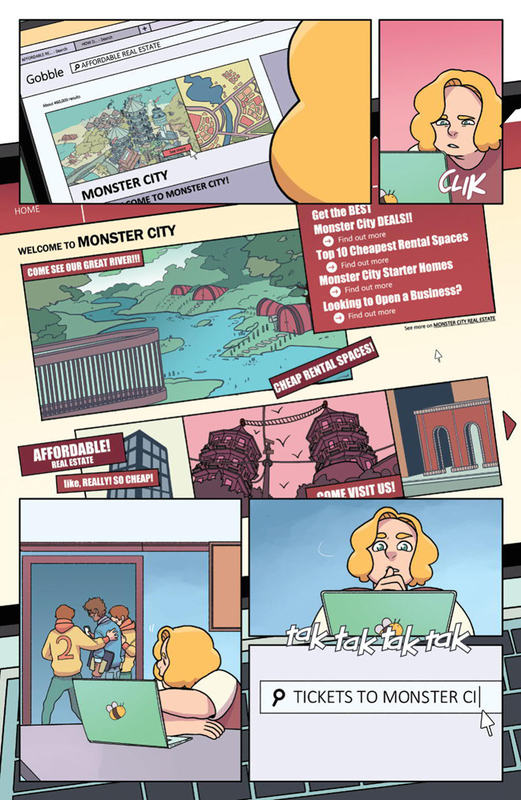 She beautifully alternates among various possibilities: from full page drawings to panel sequences; from just a hint of color to full color; from lots of text to minimal text. This exquisite contrast propels the reader into worlds unknown. Deeze, the bad boy older brother. Our story begins in Chicago on Valentine’s Day, 1968. There’s been a murder, or maybe a suicide, or God only knows what. Something happened upstairs. 10-year-old Karen Reyes has lost her dear friend, her upstairs neighbor in the apartment right above her: the elegant and enigmatic Anka Silverberg. She was shot in the heart. But her apartment door was bolted shut from the inside. 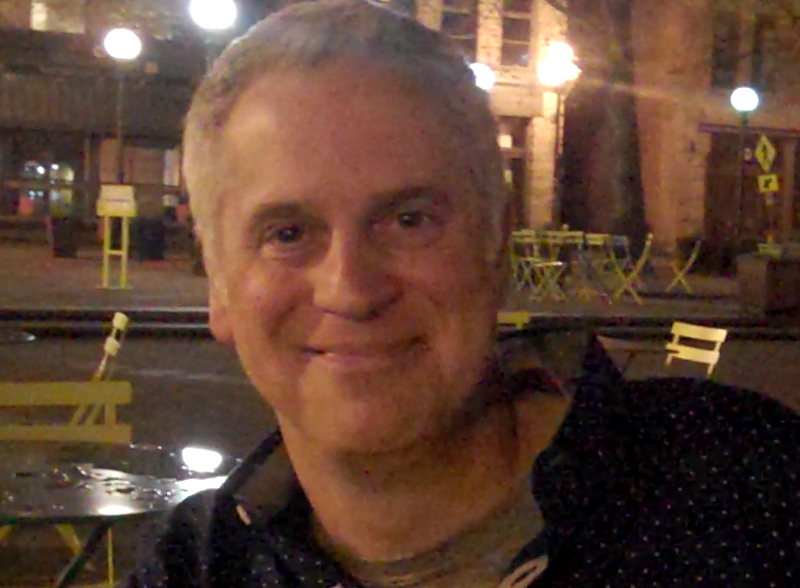 So, yes, it was a suicide, right? Well, that’s what the police say. But Karen senses that just can’t be right. And so begins Karen’s investigation. Karen, the little girl who thinks she’s a monster. Yes, she really believes she’s some werewolf girl. And the only thing more scary than that is the M.O.B., that’s short for people who are Mean, Ordinary, and Boring. Having to answer to mama. 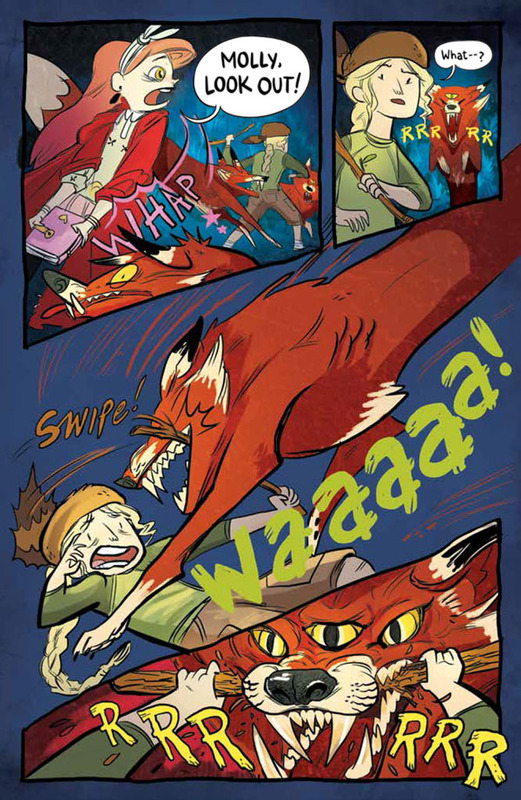 Ferris fuels her work of magical realism with magical kid logic. Karen’s quest to get to the bottom of the death of Anka Silverberg, a holocaust survivor, becomes a multi-layered journey. Narrated by Karen, the reader becomes privy to a child’s inner world in a similar fashion to Jonathan Safran Foer’s celebrated novel, “Extremely Loud & Incredibly Close.” 10-year-old Karen ponders over the validity of monsters and concludes that they have as much right to exist as other unseen marvels like germs and electricity. Karen’s fanciful innocence clashes with harsh reality. Her older brother, Deeze is engrossed in various sexual conquests with little to no discretion as to whether Karen is around to hear it or see it. As a way to protect herself, Karen can always revert back to her own whimsical concerns, like whether or not tulips get homesick for Holland. One of the many pulp magazine tributes. This is a genuine must-read resonating with aficionados and the general public alike. 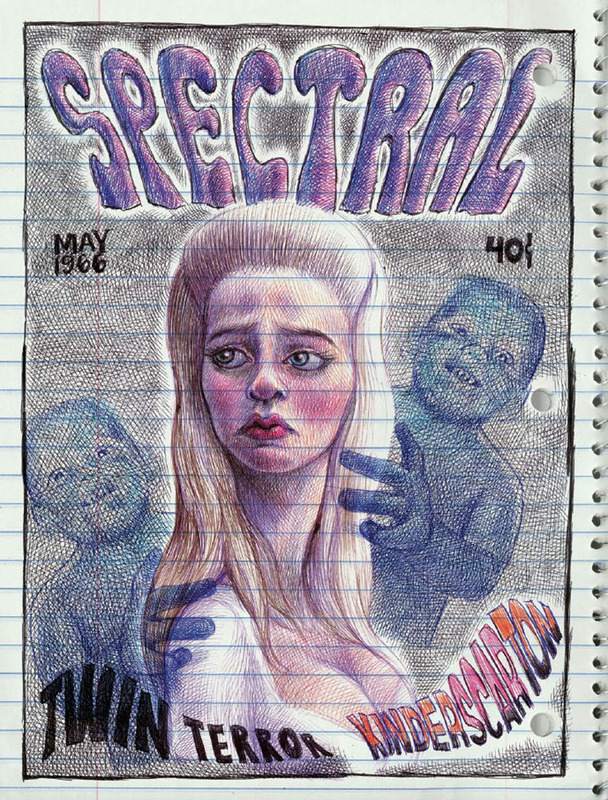 Many of the pages in the book have become iconic, particularly the monster magazine portraits. This is a tale that intertwines the tumult of the 1930s and 1960s and ends up casting a mirror to our own very troubled era. The alternating formats that Ferris uses are the hallmark to this most innovative work. 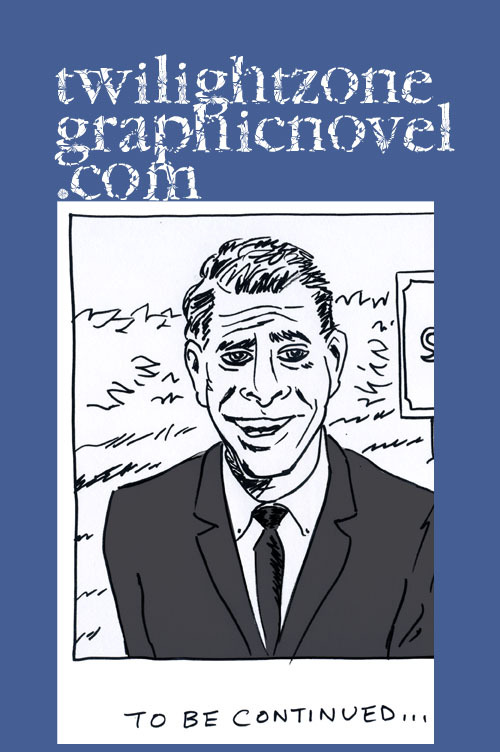 Ferris steadily modulates the narrative having the reader swim to the deep end and read passages suitable for a prose novel all the way to deceptively simple comic strip sequences. 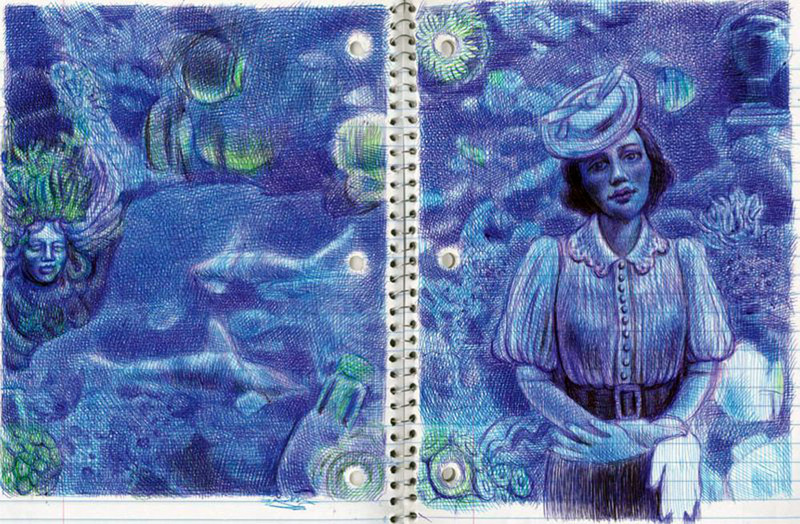 All the while, everything is held together cohesively with the consistent use of ball point pen rendered art on a background of notebook paper–that and one of the most compelling voices to grace the page. 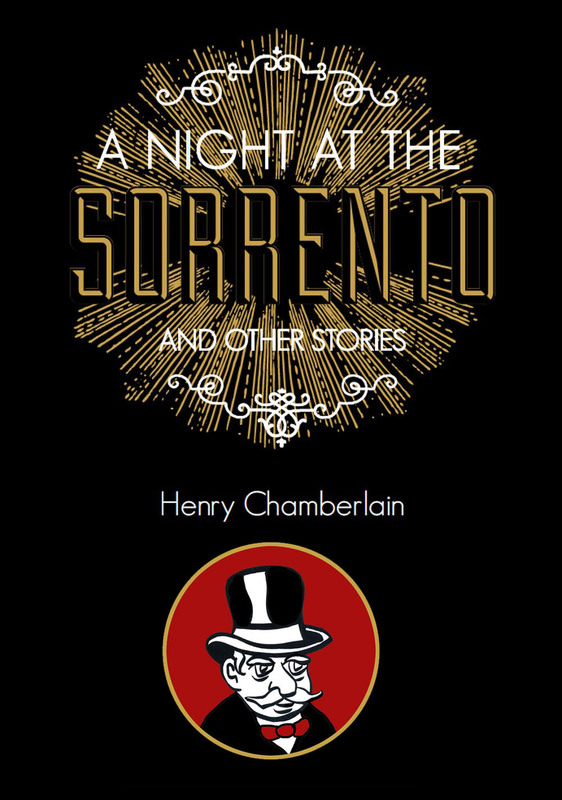 This is one of those rare books that can safely be called an instant classic. It is a long work in comics that truly makes good use of a high page count. In fact, a second volume is due out as early as Valentine’s Day of 2018. For more details, visit Emil Ferris right here. 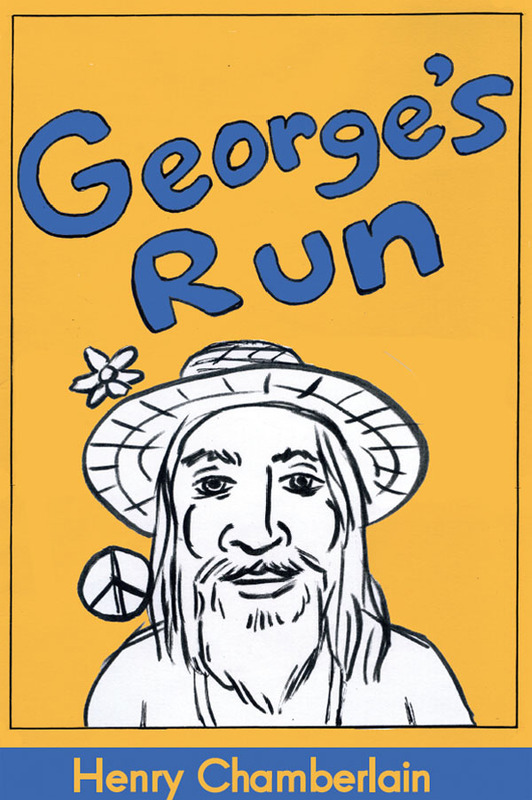 And visit Fantagraphics right here. 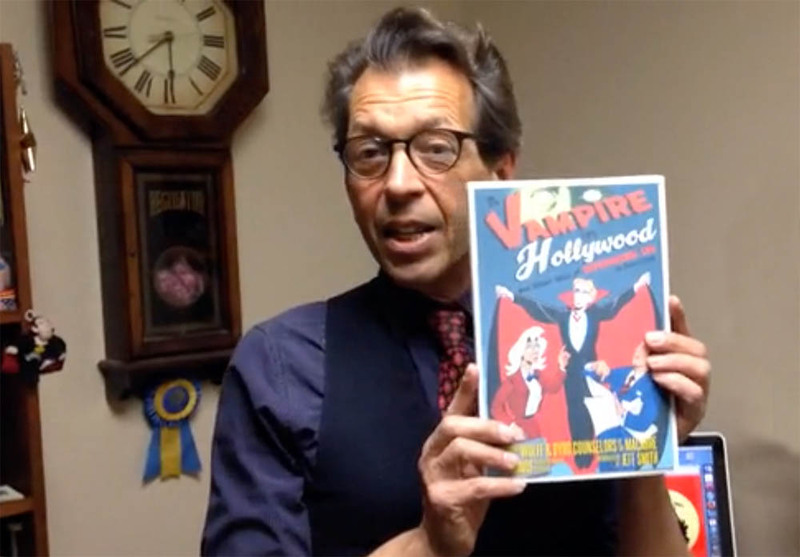 Batton Lash, a comics legend in his own right, has launched a new Kickstarter campaign in support of his latest collection, “A Vampire in Hollywood.” You can join the campaign, which runs thru March 11th, right here. 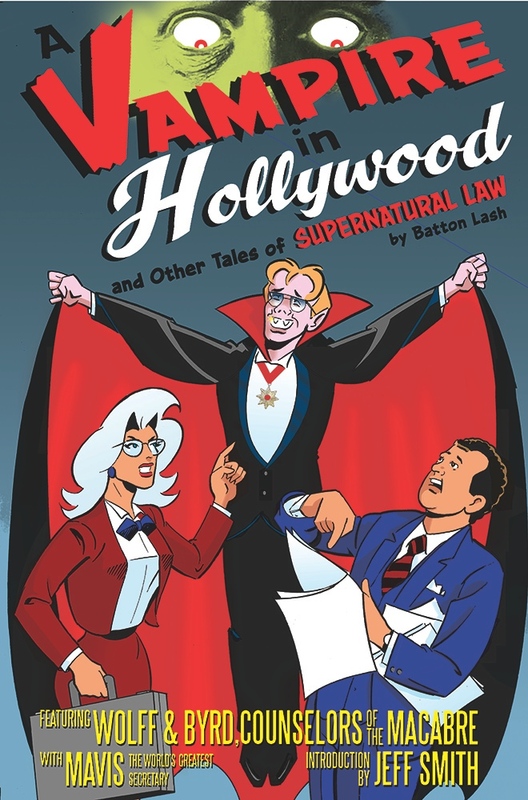 With a distinctive wit and style, Batton Lash has entertained readers over the years with the misadventure of “Wolff and Byrd, Counselors of the Macabre,” the only law firm that represents vampires, zombies, and other ghouls. 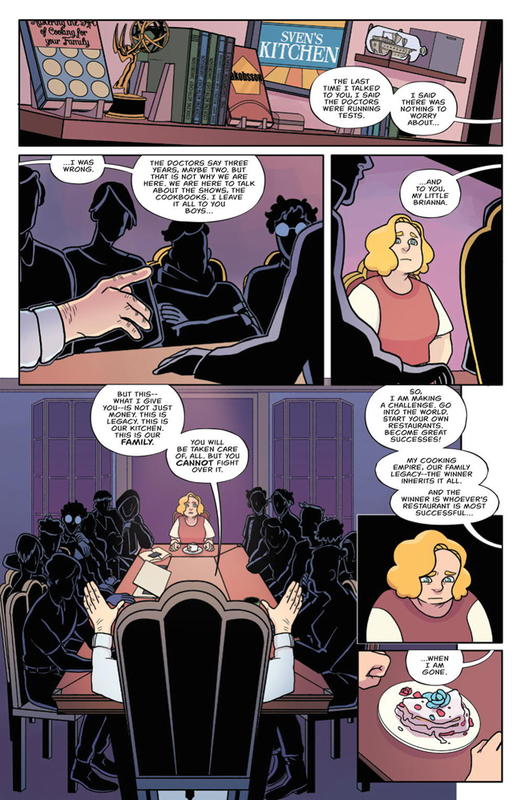 Wolff and Byrd has subsequently been known simply as, “Supernatural Law.” It is a cross between Archie comics and The Walking Dead. It is definitely something different! 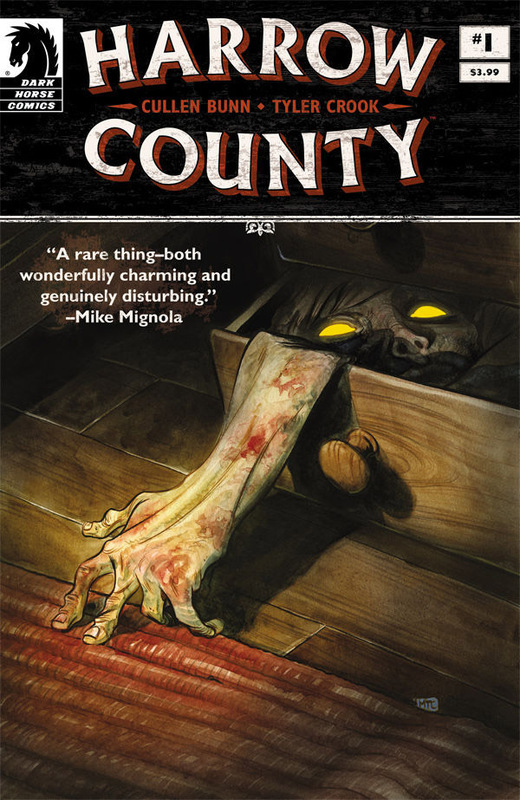 “Harrow County” is a southern gothic fairy tale. On the eve of her eighteenth birthday, Emmy learns that she is somehow connected to the monster-infested woods she has lived nearby all her life. Wow. What more could you ask for, right? It all began as an uneasy understanding amongst the townspeople to coexist with the witch, Hester Beck. But, once Hester had the town’s children involved in her rites, the tolerance gave way. And, once the rumors piled up about Hester engaged in unnatural acts with hideous creatures in the woods, there was nothing left to do. Kill the witch, that was the solution. And as the fire ate away at her flesh, the witch warned the townspeople that she would return. Many years later, cut to Emmy, a young woman haunted by her surroundings. 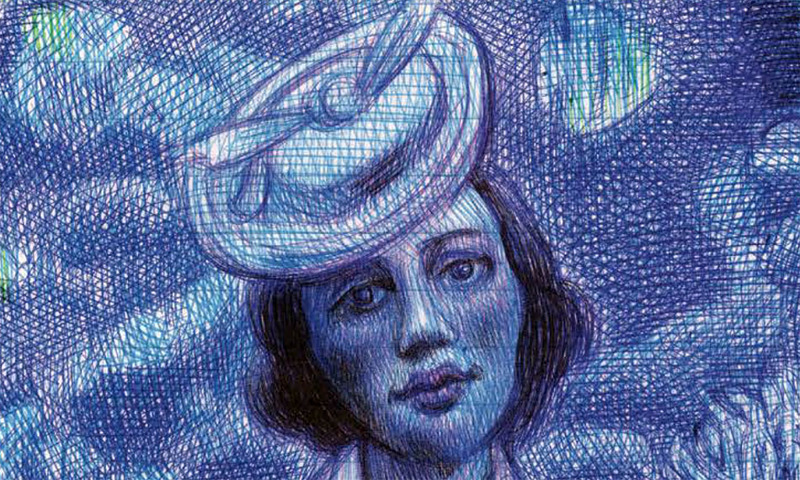 She knows that something’s wrong about Harrow County, just not sure exactly what. The woods. She’ll find the answers in the woods. 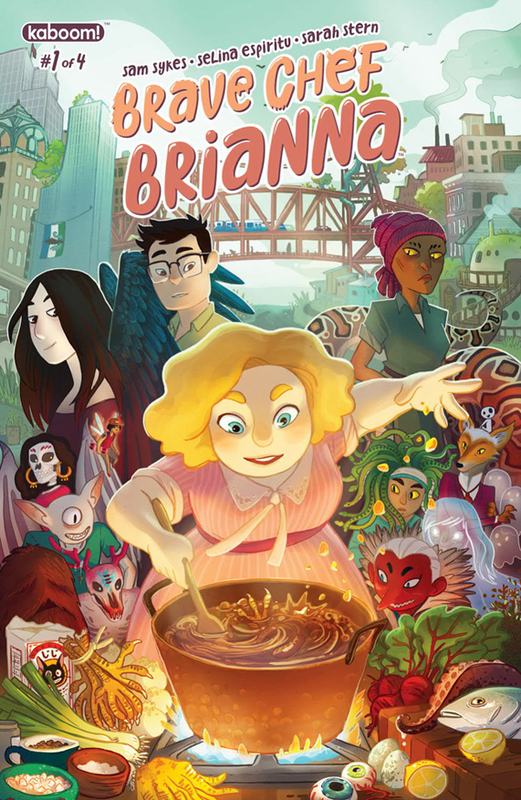 This first issue will definitely win you over. Bunn and Crook have mastered the art of the spooky. This thing has taken off. Enjoy. The gap between the inner world and the outer world is paper thin. That sensation of exposing our inner world to the outside, resulting in horror, is what French psychoanalyst Jacques Lacan called “glissage.” Harrow County has seen plenty of this. And Emmy is now sure they haven’t seen the last of it. She’s dead sure of it. 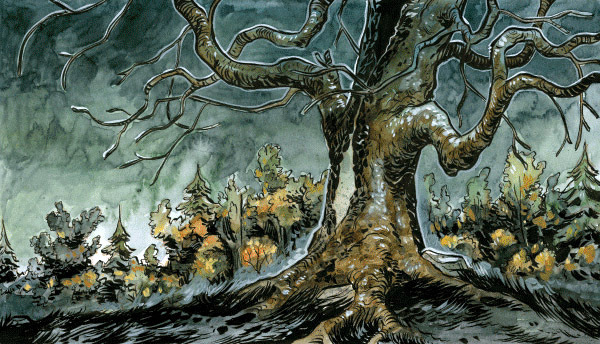 “Harrow County #1” is 32 pages, priced at $3.99, available as of May 13. 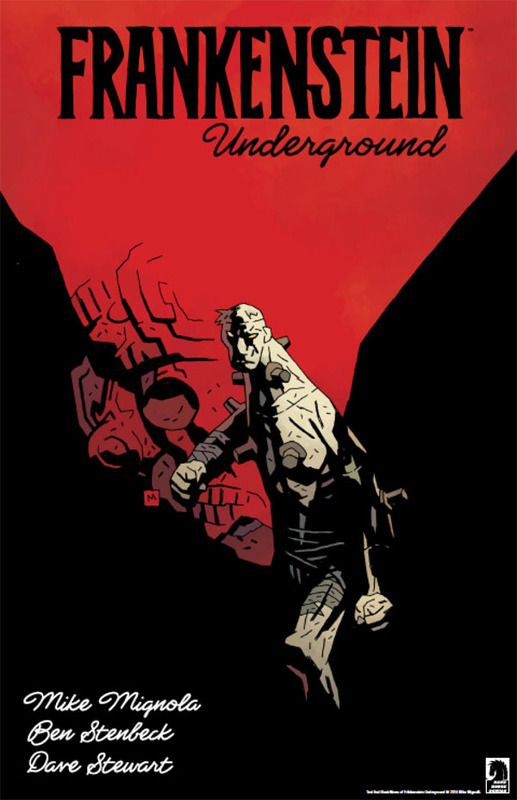 For more details, visit our friends at Dark Horse Comics right here.